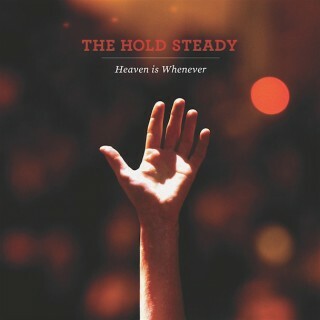 Anthemic is a word that is thrown around a lot when describing rock music, but there is no doubt that The Hold Steady’s latest effort, Heaven is Whenever, qualifies for this special adjective. While the band is now based in Brooklyn, vocalist Craig Finn grew up in Minnesota — and echoes of Minnesotan influences such as The Replacements and Hüsker Dü are certainly found on this record. However, the band has most definitely carved their own path of punk-derived catchiness, with Finn’s narrative ramblings garnering most of the well-deserved attention. It’s hard not to sing along to songs like “The Sweet Part of the City,” “The Weekenders” and “Touchless.” Infectious and anthemic indeed.